1. Structuring a clear strategy for this huge change. 2. 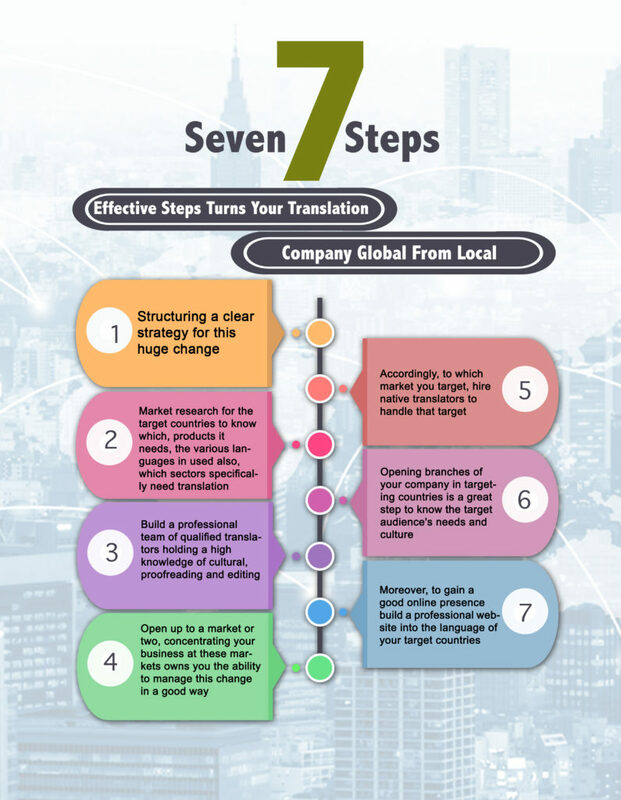 Market research for the target countries to know which, products it needs, the various languages in used also, which sectors specifically need translation. 3. Build a professional team of qualified translators holding a high knowledge of cultural, proofreading and editing. 4. Open up to a market or two, concentrating your business at these markets owns you the ability to manage this change in a good way. 5. Accordingly, to which market you target, hire native translators to handle that target. 6. Opening branches of your company in targeting countries is a great step to know the target audience’s needs and culture. 7. Moreover, to gain a good online presence build a professional website into the language of your target countries. ← Interpretations Services Vary: Which One Do You Need?